In the summer, when the day was hot and school was a distant memory, when kids were racing to their local pools and playing until the sun went down, Ricky Garbow was dreaming about construction machines. Although his friends would ask him to accompany them to the beach or park, Garbow would often stay behind, all so that he could watch the construction workers near his house dig holes with their giant excavators. Though this may strike some as a strange place for a kid to spend a summer day, Garbow is clear that it’s exactly where he wanted to be. Little did he know that after many summers spent dreaming about it, he would get the chance. 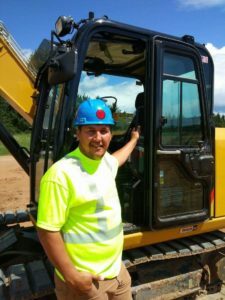 Today, years later, Garbow is a 29-year-old heavy equipment operator, currently enrolled in the International Union of Operating Engineers (IUOE), Local 49, apprenticeship program. When he’s not operating an excavator or a bulldozer at a job site (such as building a road or a highway), you’ll fund Garbow at the Local 49’s training center in Hinckley, Minnesota, where he gets to operate off-road trucks, rollers, skid steers, bulldozers, scrapers, excavators, and front end loaders. The path to realizing his dream job, however, didn’t come easy. Unlike his friends who went to college or entered the military, Garbow didn’t know what he wanted to do after high school. Although he now lives in Lindstrom, Minn., Garbow grew up in the Twin Cities as a member of the Mille Lacs Band of Ojibwe. While attending Unity High School in Balsam Lake, Wis., and he thought about pursuing a career as a nurse after graduating from high school. But something about college didn’t seem quite right. TERO stands for Tribal Employment Rights Office. There are ten TERO programs in the Great Lakes Region, which include the Red Lake Band, Bois Forte Band, the Ho-Chunk Nation, the Keweenah Indian Tribe, the Leech Lake Band, the Mille Lacs Band, the Oneida Tribe, the Stockbridge Munsee Community and the White Earth Band. 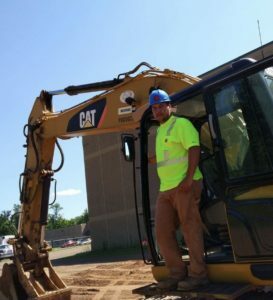 Garbow worked alongside 10 other students learning hands-on construction skills, and after those six weeks, Garbow secured a job with SM Hentges and Sons inc, which in turn, allowed him to join the IUOE and enter its apprenticeship program. His new career has been a life changer. 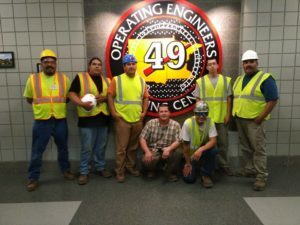 The apprenticeship program at the Local 49 Training Center teaches students how to apply their practical skills to the job, and gets students comfortable operating large machinery, and ready for a full career. To become a journeyman, Garbow must complete 4,000 hours on the job, working under the direction of a journeyman, and 288 classroom hours. Besides the positive experience Garbow has had with the apprenticeship program, he also says that being a part of a union has been its own reward. 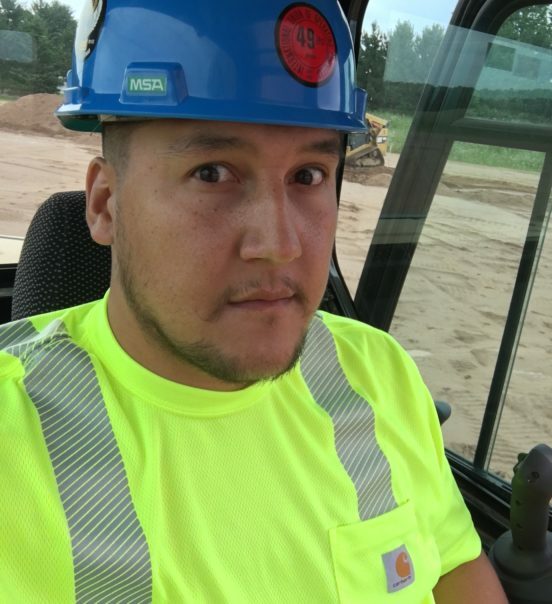 All around, Garbow’s career shift has changed his life for the better, but he cautions that a career in construction isn’t for everyone. Garbow says he would also encourage any high school student who is unsure about what path they want to pursue to check out apprenticeship programs and a career in construction. To learn more about a career in construction, click here, and to learn more about apprenticeships in the trades, click here.